Most Kenyan children will never see Kenya’s iconic mega-fauna such as the critically endangered black rhinoceros, African elephant, lion, giraffe, Grevy zebra, and cheetahs in their natural habitat. 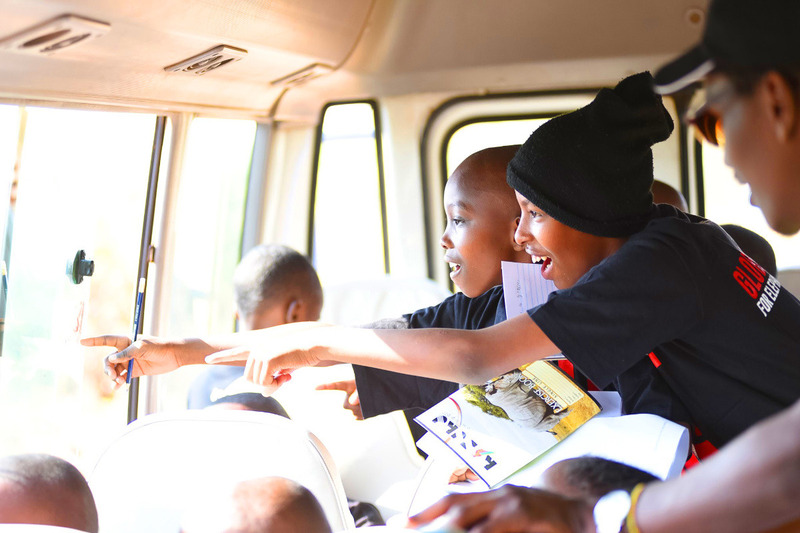 Not only are park visits too expensive, but most schools do not have buses.We believe that our children are the future guardians of our wildlife and that is why we must do more than educate them on theory. Wildlife Warriors at WildlifeDirect is a program that was inspired by children themselves during a workshop on how to create a generation of Wildlife Warriors. They said they wanted meaningful trips to parks so we organize citizen science trips to count wildlife working alongside world class scientists. They said they want to make a difference so we conduct litter clean ups and tree planting in parks and forests. They also said they wanted to learn from each other, so we host three camping trips in the wilderness with children from diverse backgrounds to work together and solve conservation challenges. We promote curiosity, exploration and play and we celebrate that magical moment of discovery which we know will remain etched in a child’s mind forever. Support Wildlife Warriors by making a donation to bring a child to a National Park. By reconnecting our children to nature and wildlife they will not only fall in love but be inspired to value and act to conserve it. For 20 dollars you can sponsor one child for a day trip, for 200 dollars we can give them a 3 day camping trip at any of the National Parks and Reserves. Join Us! Do you have a birthday, wedding or another event coming up? Are you competing in an athletic event this year? Do you want to host a dinner or create a school-wide organized fundraiser? It’s easy to join! Click here to get started! Thank you for becoming a hero to Africa’s wildlife!